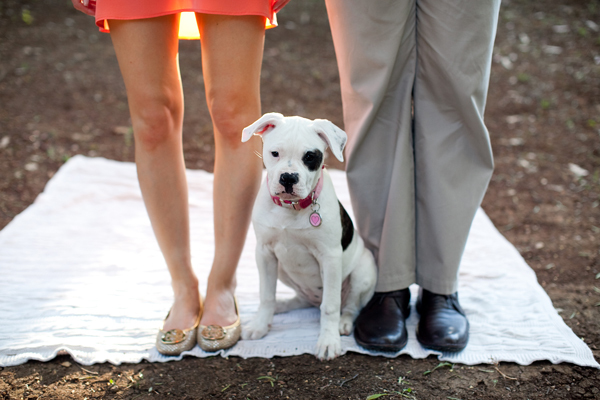 Two years ago around this time, my husband and I were welcoming a little American bulldog, Daphne, into our lives. I wanted that face to be documented with more than my iPhone, so I called in a professional. 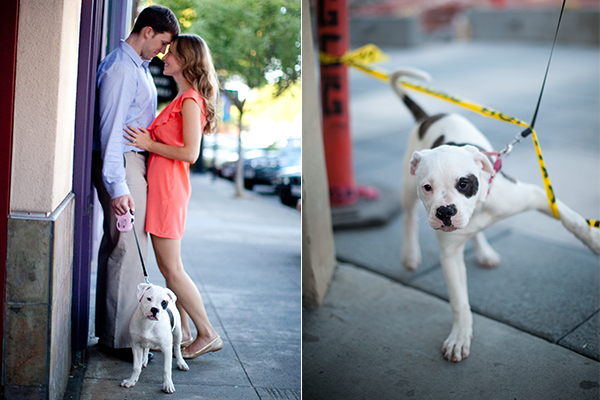 Yes, I felt a bit ridiculous hiring a photographer to take pictures of our pup. She’s a dog, not a baby, WHEN ARE THEY GOING TO HAVE A BABY? I could hear my mom thinking. But my husband and I agreed that Daphne made us feel like a family, so taking a family portrait would be totally normal (right?). Here are some of our favorite shots. 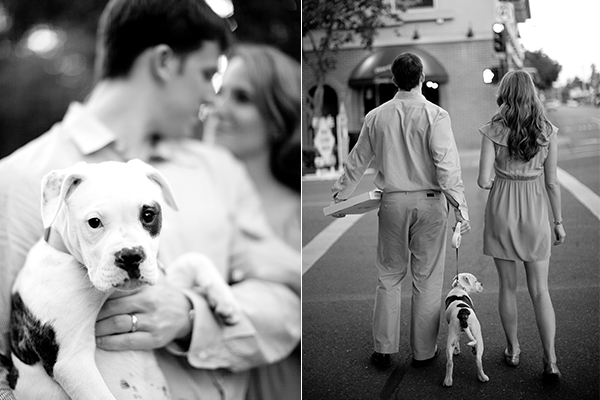 As you can see, we strolled around town while our photographer snapped away. 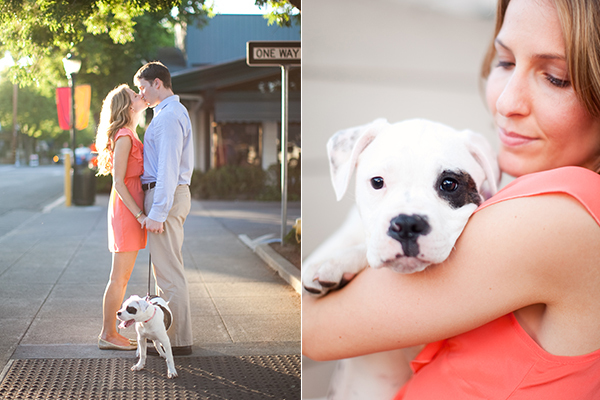 Pet parents, would you consider a photo session with your furry baby, or do you think I’m a crazy canine lady? P.S. 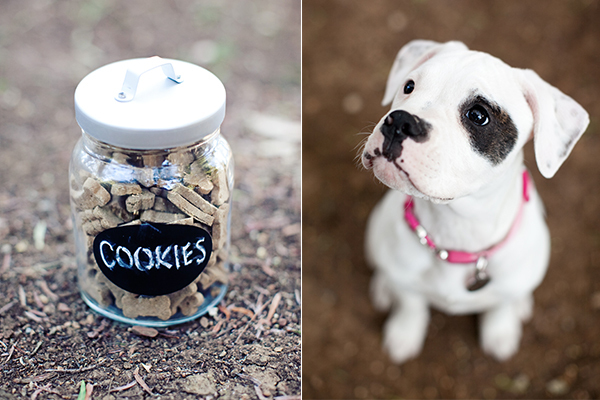 Here's a fun photo shoot idea for your pet's birthday. oh my gosh! 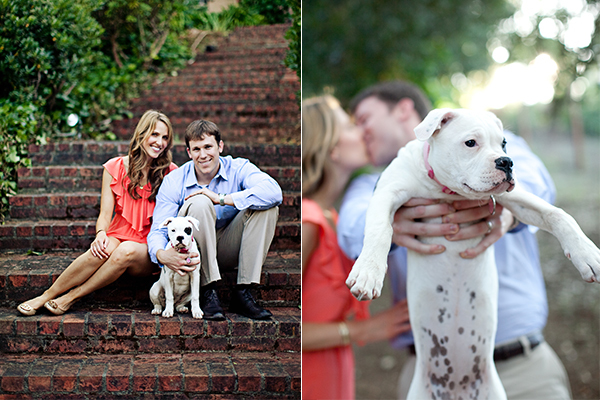 that dog and these pictures are so sweet! id love to see those pix Sascha. Love these Jua. Beautiful. All three of you Ralstons. Daphne is so stinkin cute. You should get another! Aw thanks, Holly! Seeing Daphne's puppy days totally makes me want another! Then, I remember the cost of her knee surgery :( I know you can relate! I would totally do it if Murphy would do anything that closely resembled sitting or playing for the camera. It comes out and he just lays down like I don't think so. Daphne is adorable and I love these shots! These shots are absolutely precious. She was the cutest puppy ever! Does Daphne have a baby book? OMG, that is the greatest idea ever. Daphne will be getting a baby book immediately! The only framed pics that I have in my apt are of Holly. It would probably be slightly less awkward if Steve and I were at least in a couple of them. So, yes, absolutely I would (and probably should) do a photo shoot with my pupchild. LOL. 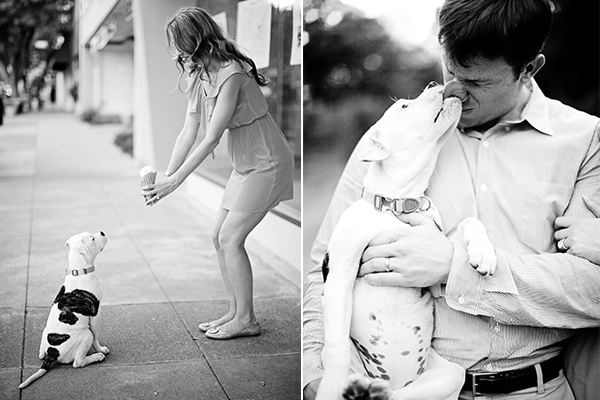 Yes, you and Steve must do a shoot with your adorable little Holly! Hi! I just stumbled upon your blog through other blogs. I saw this post and thought, oh my gosh, I love these photos! Then I saw who the photographer was...Meg was my wedding photographer! No wonder why I loved the style of those photos. Small world!